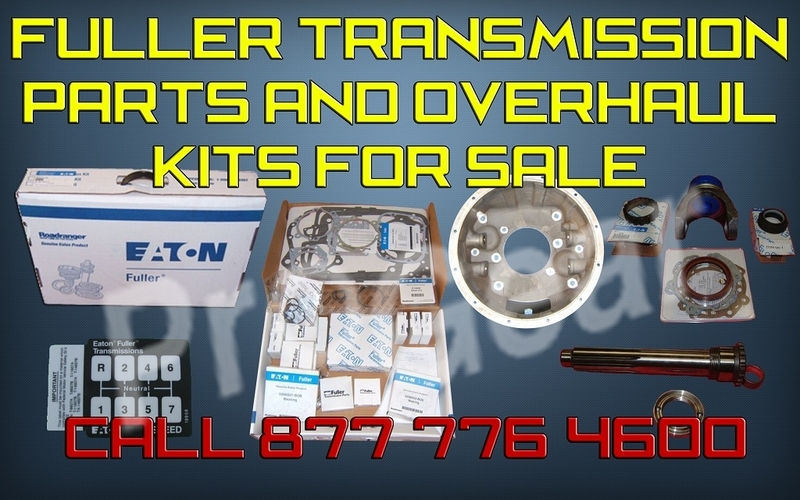 » Fuller transmission parts for sale. Fuller transmission parts are sold out of our warehouse at discount prices because we get them straight from the manufacturer! Don’t spend money on marked up parts from third party sources. We deal directly with the manufacturer to save you money. We offer Eaton Fuller transmission parts, rebuild kits and bearing kits for Fuller 5, 6, 7, 8, 9, 10, 13, 15 and 18 speed models. We also offer parts for Fuller mid-range transmissions, Fuller Auto Shift transmissions and more! We can find any Fuller transmission part(s) and have rebuilding services for your unit and install it on site. We have a complete rebuild shop as well as a complete service and fuller parts department. With years of experience, we have the know-how to find anything you are looking for your truck right away with worldwide delivery to ensure no matter where you are stuck with a broken part, we can ship it to you next day so will be back on the road in no time.